Thanks to declining mortgage interest rates and housing values, these days it’s a lot less expensive to buy a home. On the other hand, it’s also less expensive to rent. He also looked at the costs of buying, financing, and selling the property. Loan fees have risen sharply in the wake of the housing and credit crisis. He also had to add in the cost of taxes (not just property taxes, but local stamp taxes and other taxes and fees charged for escrow accounts). He adjusted the costs upward to include costs of annual maintenance, and I thought he should have added in a few extra bucks to repaint the property when it comes time to sell. After factoring in the costs of buying, financing, and selling the property, he then projected that housing prices would continue to fall a little before starting to rise modestly over the next five years. In Chicago, which never saw the same kind of sky-high appreciation as property in Miami, Las Vegas, Los Angeles, and San Francisco, property prices haven’t dropped as steeply as in other cities. But the calculus changes as the years go on, and positive appreciation kicks in. At about the 5-year mark, buying a home starts to look like a smarter (and less expensive) move than renting. In fact, that’s how real estate should be thought of – as a longer-term investment. It’s only been in the past half-dozen years that the get-rich-quick, no money down, flip-for-profits thinking has moved the masses to buy property. Creative and exotic mortgage financing techniques (think pay-option ARMs) helped those who might not have been able to afford to buy close on their dream primary, vacation or rental property. When you buy a home for $100,000 and sell it for 6 months later for $150,000, then buy a $200,000 home that you sell a year later for $300,000, that’s pretty heady stuff. If you take out the word “home” from the previous paragraph and replace it with the word “asset” or “stock,” it’s easier to think about those kinds of returns being a one-time lucky play. Kind of like winning the lottery – except the words “home” and “lottery” don’t generally belong in the same sentence. Historically, top agents would tell their buyers that they should plan to live in the home they buy for 5 to 7 years in order to make money on it, not 5 to 7 months. 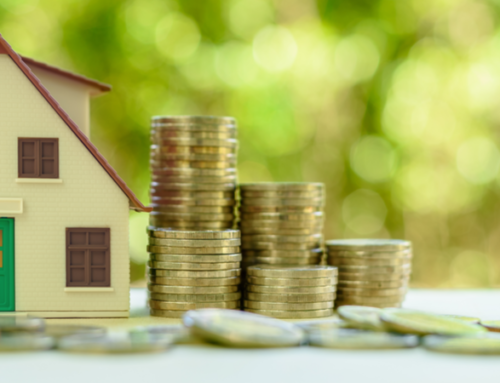 So Josh’s calculations prove the old rule – in the long run, buying the right house at the right price with the right financing for the right reasons can make sense financially. What really changes things is the $8,000 refundable tax credit for first-time buyers or for those who haven’t owned a home in the past three years. If you purchase and close on a first home by December 1, 2009, and plan to live there as your primary residence, you can qualify for up to an $8,000 refundable tax credit.